MULTIPLEX Extra 330SC indoor Edition is the perfect introduction to the world of 3D aerobatics. 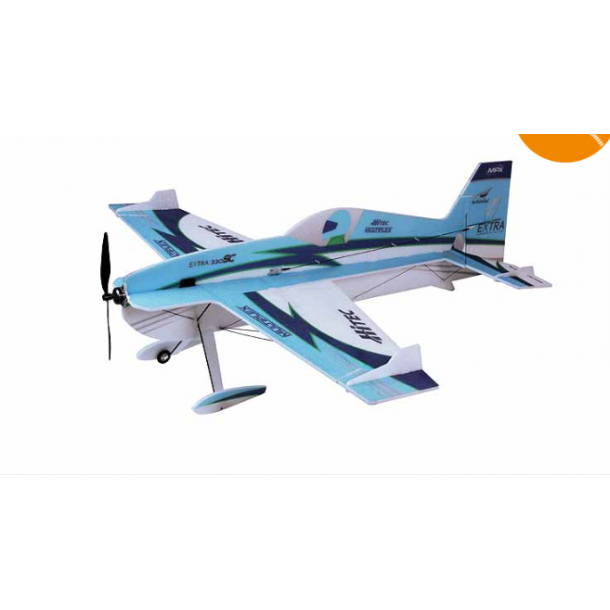 Designed by Gernot Bruckmann and in his famous light blue design of the kit is a "must have" for all EXTRA and 3D aerobatics fans. The EPP model is built very robust and forgiving one almost every mistake. All kinds of aerobatic maneuvers are possible with the model.